If you have any trouble locating the child care information you need, please contact us by phone. 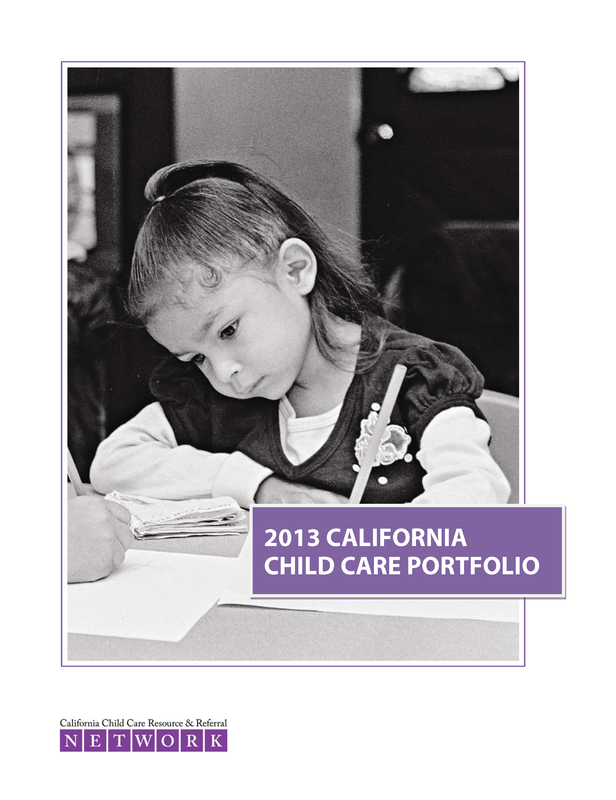 The 2013 California Child Care Portfolio, the 9th edition of a biennial report, presents a unique portrait of child care supply, demand, and cost statewide and county by county, as well as data regarding employment, poverty, and family budgets. The child care data in this report was gathered with the assistance of local child care resource and referral programs (R&Rs). R&Rs work daily to help parents find child care that best suits their family and economic needs. They also work to build and support the delivery of high quality child care services in diverse settings throughout the state.